Now that the holidays have come and gone and I have settled into somewhat of a normal routine again, I am finally finding the time to sit down and write about our second trip to Panama. Again, I am going to have to break up this trip into sections – so as not to make each blog to long. D and I left on December 7 and returned to Cold Lake on December 22. The first thing I would like to mention is that it was -30C when we left Canada and +30C in Panama and -30C when we returned. That, in itself, was enough to convince us that we are making the right decision :). OK, enough about the weather – lol. 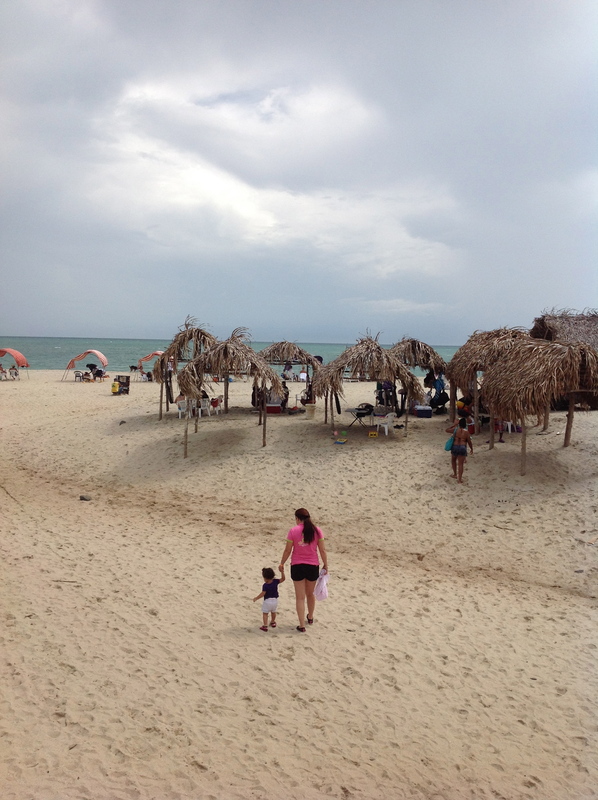 Our first full day in Panama was December 8, which happens to be Mother’s Day. This is a big deal in Panama (so much so that the following Monday is declared a national holiday) so it was really nice of Benny, our driver we hired (yes this is the same Benny from our first trip to Panama), to agree to spend the day with us to take us to various towns close to PC in search of property to rent (although we had to assure him he would be home before dark because the mother-in-law was visiting and he did not want to spend the night in the doghouse – everyone out there with mother-in-laws knows what I mean :). That being said, Benny is a wonderful driver who works independently in Panama and also speaks good English. I would highly recommend his services to anyone who may be travelling to Panama City. His email address is benny.panama@gmail.com. In total, we looked at property rentals in five different areas – Nueva Gorgona, Coronado, San Carlos, Santa Clara and Altos Del Maria. I have put a brief description of each of these areas below, verbatim from different sources on the internet. 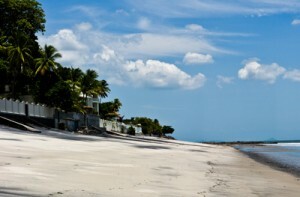 “Coronado is a coastal city and resort located about an hour from Panama City. It is a vacation town visited yearly by thousands of national and international tourists. 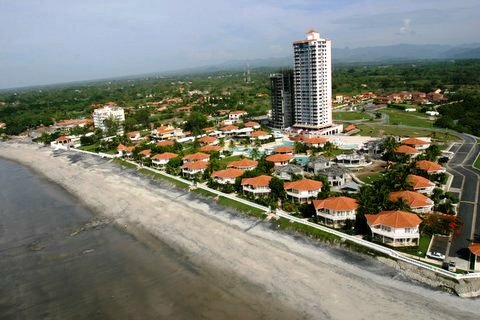 Coronado was Panama’s first resort development, and for this reason has several years of advantage over other surrounding beach towns. Currently, the town has such amenities as full scale supermarkets, pharmacies, restaurants, ranging from low cost fondas and fast-food restaurants to beachside bistros, medical and veterinary clinics, a hospital, gardening centers, hardware stores, banks, apparel shops, outdoor markets, a shopping plaza and a new shopping mall. 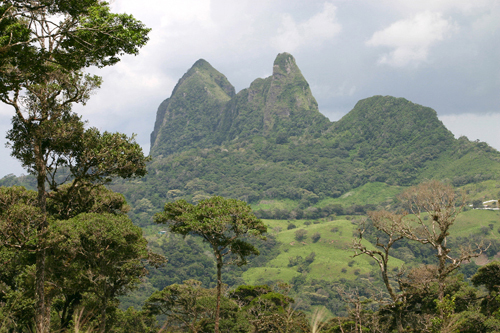 “Santa Clara is a town of 1,302 people in Panamá Province, Panama. The United States Peace Corps uses this community to train new volunteers before they are sent out across Panama. 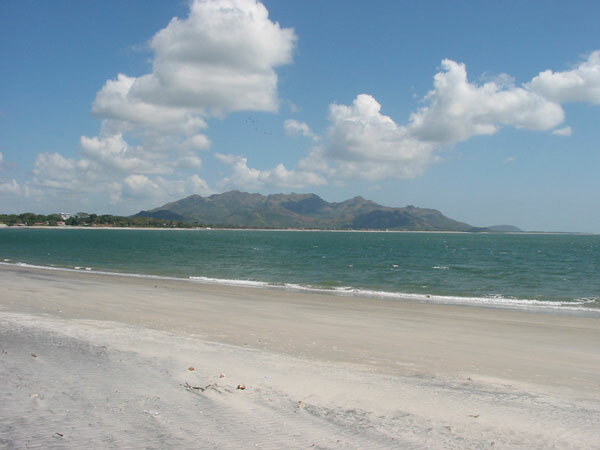 The beach at Santa Clara is one of he most appealing beaches along the Pacific Coast, and the best for swimming”. As you can imagine, this was a very busy day and in the end we got Benny back to Panama City just as the sun was setting – he dodged a bullet there! And so here it is – our opinion in a nutshell of all these places visited that day. Gorgona is a nice little beach town but it just didn’t speak to us so this was crossed off our list immediately. 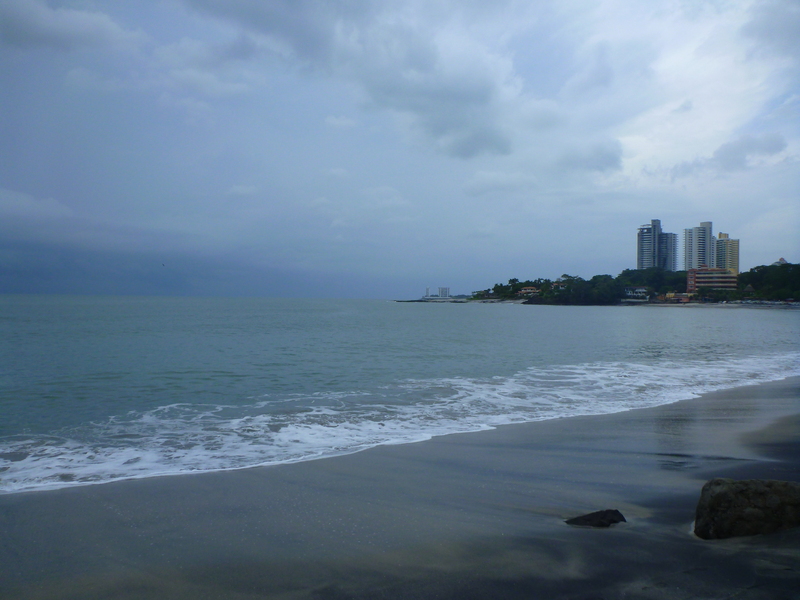 Gorgona Beach – Coronado in background. Next stop was Coronado. Here we looked at a house to rent (which is also for sale) owned by a young couple who relocated to Canada four years ago and have decided, for personal reasons, to return. We immediately felt a connection with this house. It had everything we were looking for and it was close enough to the beach so that we could enjoy long walks along the beach everyday by just stepping out the front door. Our third stop was to look at a house in a gated community in San Carlos. Although the area itself was nice enough, again there was no connection for us here. So onto Santa Clara we went (stop number four). Benny suggested a nice beach front restaurant for lunch where we met up with some Canadian friends he had who relocated to Panama three years ago and were in the real estate business (and who also happened to own the restaurant). We had a wonderful lunch and I absolutely fell in love with the beach here. We were shown one property for rent here as well which had everything we were looking for but wasn’t within walking distance to the beach :(. 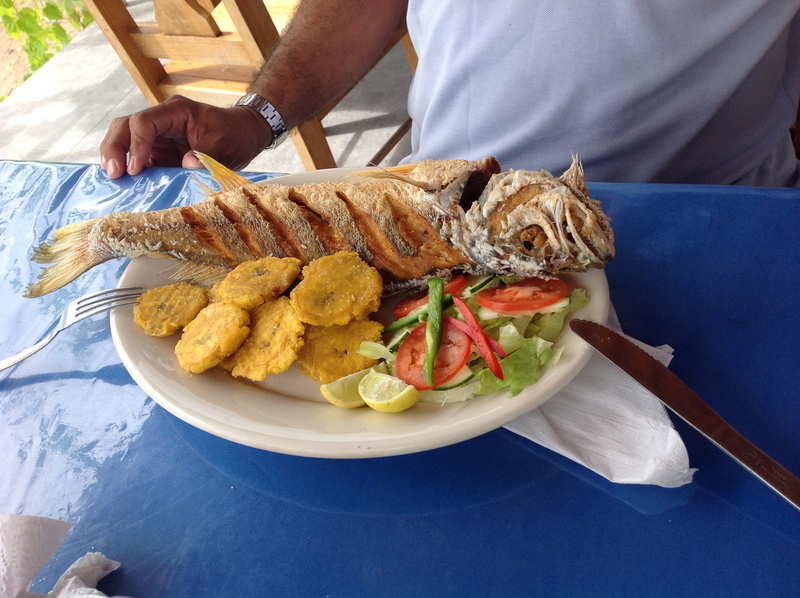 Sea bass – lunch at Santa Clara. Our fifth and final stop was to see a development in the mountainous region about 30 minutes from Coronado called Altos Del Maria. Although this is obviously not a beach front community, D and I had read a lot of great things about this area and wanted to have a look. The house we looked at was on 1 1/4 acres in the gated community and the views from the property were absolutely breathtaking! We also fell in love with the house and now had to decide, beach or lush green mountainous scenery to wake up to every day. It was now 4:30 pm and we had to get Benny home quick! Alas, Benny got us back to our hotel in time but more importantly in time to spend the rest of Mother’s Day with his family. Now it was up to D and I to make some decisions ……. but this was the only the first day!!! Tomorrow we were off to Bocas Del Toro and then back to Boquete and Boca Chica in the province of Chiriqui. How were we ever going to make a decision.?!? !